Hair loss and hair thinning are conditions affecting so many young individuals nowadays unlike in the past when it was only associated with aging people. 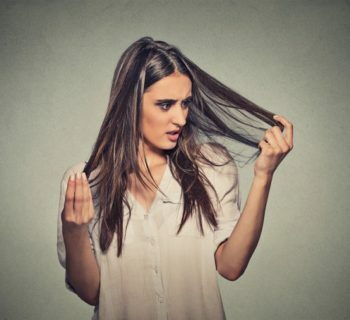 Suffering from hair loss as a teenager causes a lot of stress, loss of self-esteem and brings about low confidence in most of us. Most of us have been asking themselves, “Why is my hair so thin?” There are several causes. Let us take you through different reasons why you could be suffering from hair loss and how to thicken your hair. 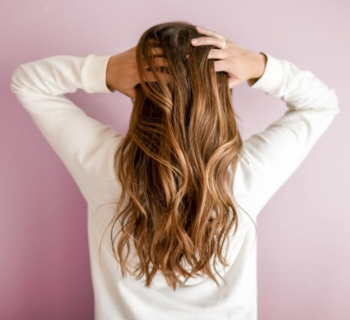 After thorough research, we have compiled scientifically proven facts that contribute to thin hair and what you can do to regain the thicker hair you have always wanted. Thinning of hair has become a common condition amongst many of us. 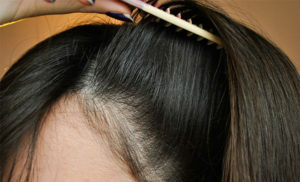 There are several health conditions that could be contributing to loss of your hair. It is good to know the cause and therefore look for the right treatment. Thinning of hair has been found to be related to changes in hormones of the body. Mostly, hormonal changes occur during pregnancy, transition to menopause, childbirth and thyroid problems affecting the thyroid glands. There are two heredity conditions that cause hair thinning; male pattern baldness and female pattern baldness. These two take place in a gradual manner. With men, there is receding hairline that occurs while in women, hair loss is the common symptom. If your body lacks vitamin D, one of the symptoms will be hair loss. Some shampoos that we use are made of ingredients whose chemicals do not go well with our hair. It is therefore good to use natural shampoos in your hair treatments or a shampoo specifically made for thinning hair. If you suffer from sarcoidosis, lichen planus or lupus, your hair will naturally become thinner and eventually disappear from your head causing hair loss. If your immune system has issues, you will be attached by this condition and eventually end up losing your hair. This is the most common type of anemia that affects most women in the world. If you suffer from this condition, you can still prevent your hair from thinning by eating foods that are rich in iron such as fish, chicken, red meant and all soy products. Both the hair and the scalp depend on vitamin B to thrive and hence lack of this vitamin in the body leads to hair thinning and finally hair loss. Stress causes temporary hair loss. 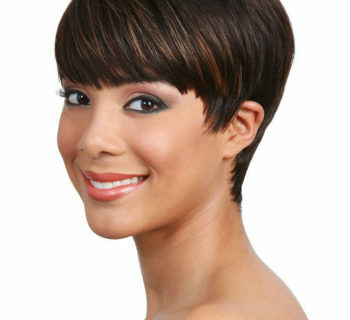 Stressful events in one’s life send the hair to shedding phase. This is because the body responds to the stress by altering the hormonal production. [Source] However, after sometime, the hair starts to grow. Suffering from hair loss or hair thinning is not as disastrous as you thought. You can still recover from it by using natural means. The natural ways are the most competent since they do not cause any side effects to your hair or any other part of the body. Here is a breakdown of how to thicken hair naturally using simple yet effective natural ways. One of the common ingredients contained in most commercial hair products is Aloe Vera. The pharmacists know that it has positive impacts on hair. Thus, if you want to thicken your hair, you can do it yourself by rubbing the natural aloe vera gel on your scalp, massaging it gently and wait for 30 minutes before washing it off. 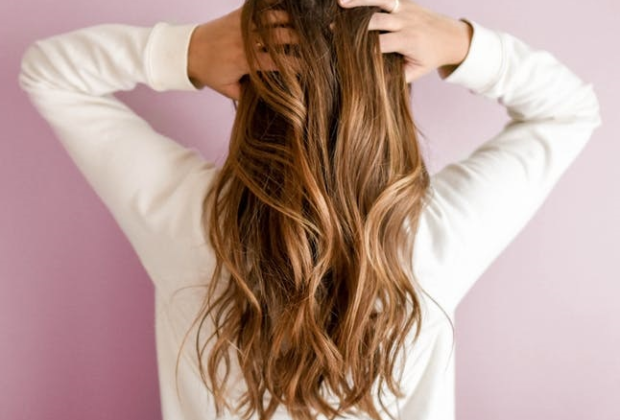 Doing this twice a week will thicken your hair within a month. Olive oil is one of the best ways to restore your thick hair. It not only enhances hair thickening and growth but also softens and restores dry scalp. Warm up about 2 teaspoonfuls of olive oil and massage in gently on your hair scalp. Give it about 40 minutes and wash it off. You can also apply the oil overnight and wear a shower cap till the morning when you wash off the excess oil. Avocado is a natural hair thickener as it contains different natural oils and vitamin E. The oils in avocado moisturize the hair making it easy for vitamin E to penetrate the hair follicles and enhance hair growth and thickening. You will have to make a mixture of a tablespoon of olive oil and one mashed avocado and massage it on your scalp for about thirty minutes for the hair to absorb the nutrients. Rinse the mixture off and shampoo the hair. This can be done once or twice a week if possible. On the other hand, you can also prepare a mixture of 2 tablespoons of wheat germ oil and half mashed avocado. Shampoo your hair and then apply the prepared hair mask on your hair and give it 20 minutes before washing the hair. What make Indian Gooseberry fit to be used as a hair thickener are its anti-inflammatory, antibacterial and exfoliation properties. The three properties play a big role in ensuring that your hair is healthy, thick and is appealing to the eye. You need to take a tablespoon of Indian gooseberry and mix it with 2 tablespoons of coconut oil and boil them together. Take the heated mixture and apply it on your hair and leave it there till the morning when you wash it off. Doing this twice a week will make your hair thicker and healthier. You can also mix a half cup of Indian gooseberry and put in a quarter cup of warm water. Wait for 10 minutes and then apply the mixture on your hair. After 20 minutes rinse off the mixture and make sure you do not shampoo your hair immediately. Eggs contain keratin which is very essential protein for hair growth. The easy way to apply eggs onto your hair is beating one or two of them twice a week and applying them to your damp hair and scalp. Wait for about 30 minutes for the keratin and other nutrients to be absorbed and then wash the hair. Eggs also contain other nutrients such as biotin which is highly required by your hair for growth. Another option you can use is by mixing a teaspoonful of any hair oil of your choice, one egg yolk and e teaspoonful’s of warm water. Apply the mixture gently on your hair and later wash it off. Recent research has revealed that onion juice promotes hair growth. From the experiment, several people who were suffering from alopecia areata used onion juice and after 2 weeks, hair growth was observed. This was attributed to the fact that onion contains sulfur and keratin which play crucial roles in hair thickening and prevention of hair loss. If you want to use onion juice, just take 3 or 4 of them and then peel and chop them. Extract the juice by using either a juicer or a blender. Put the paste in cheesecloth and squeeze the paste onto your hair and scalp. Leave the paste on your hair for 1o minutes and then wash it off. If you want to reduce the onion smell, you can mix the onion essential oil of your choice. For this treatment to be very effective, it would be better that you apply daily. Oranges as simple and unrealistic as it could be enhance hair growth. First of all they contain different antioxidants and vitamin c which are all needed for a thicker hair. The acids also play a vital role in cleaning the residues left by shampoos and other chemicals. You can create an orange juice by peeling your oranges and crushing them using a blender. Use the extracted juice and apply it in your hair. Leave the juice in your hair for one hour before rinsing it off. Spinach is one of natural remedies to make your hair thicker and longer. It is rich in iron which prevents occurrence of anemia. Remember anemia causes hair loss and thus it means that if your diet contains spinach, then you can’t suffer from anemia. Have plenty of spinach in your diet and surely hair thinning won’t be part of your problems. If you want to grow your hair thicker and faster, then salmon shouldn’t miss in your diet. It is rich in omega 3 acids which are very important in maintaining the hydration of the scalp. Keeping your scalp hydrated is one of the key ways that will promote hair thickening. Your hair needs castor oil to grow thicker, faster and healthier. 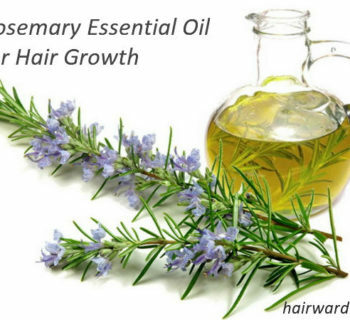 This oil is very rich in fatty acids as well as vitamin E which we all know that they are required for hair growth. You need to mix one tablespoon of coconut with one tablespoon of castor oil and heat the mixture. Apply the mixture in your scalp by massaging it for about 10 minutes. After that, comb the hair in order to distribute the oil evenly. Take a towel moistened in warm water and cover the hair for about an hour. Finally you need to shampoo the hair. You can do this for at least twice a week for quick hair thickening. For your hair to grow thicker and healthier, it needs plenty of omega 3 acids and proteins. This is what flaxseed is made of and this is why it should never miss on your list if you want to forget about hair thinning and hair loss. You need to soak a quarter of flaxseed overnight. In the morning, take the flaxseeds and boil them in 2 cups of water while stirring. After a jelly is formed, stop heating and use the gel formed and apply to your hair. 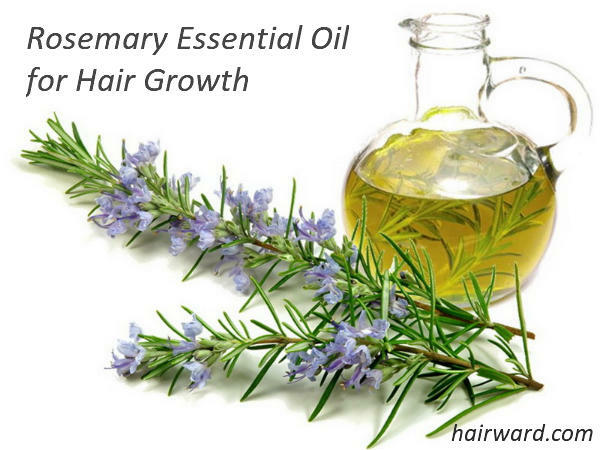 For better results, you can add few drops of essential oils and then apply the gel on your hair. Eating oysters will grow your hair thicker and faster than you ever thought. This is because it contains zinc minerals, as most hair growth supplements. Zinc also ensures that hair follicles and hair glands are functioning optimally. The above remedies have been proven scientifically to promote hair thickening and reduce hair loss. Thorough research and time have been invested before the conclusions were made. The best thing with these remedies is that they are used in their natural form without adding any chemicals. This ensures that they are 100% pore. Being used naturally means that they can never cause side effects to your hair or your body. For these remedies to work effectively, you must ensure that the oily gels or juices from the remedies are placed in clean gel holders. This is to avoid contamination from other unwanted materials. Also, you need to ensure that you use the juices or gels at least twice or even thrice a week. This is because they work slowly but effectively. Their effectiveness after using them will be noticed between 2 weeks and one month. After you wash the hair, pour about half a cup of apple cider vinegar over your hair and leave it to dry. The vinegar will balance the PH levels of your scalp as well as clean the residue which could have been left in your hair. After washing off the vinegar, you will realize that your hair would have increased by volume. Apart from that, vinegar promotes hair growth thanks to its nutrients and vitamins. Baking soda can be substituted for a shampoo and do better. You need to take 4 teaspoonful of baking soda and mix it with half a cup of water. Mix and stir them together and later use the mixture instead of a shampoo. The baking soda has exfoliation properties that will clean the residues left in the hair leaving your hair thicker and healthier.